I heard and read great reviews about Big Smoke Burger having the best burgers in Toronto, and I decided to give it a go a while back in July. Previously named Craft Burger, the chain has three locations in Toronto (and a fourth opening soon). I randomly picked a location and drove 9 hours, all the way from NYC. Upon entering, I thought UH oH. The place was somewhat tiny and had only four tables. I don't know why I was expecting something similar to the burger scene in Kuwait (again, I don't know why). Loud dark eateries with burgers drowning in sauce (I'm not complaining here). Having no where else to go, my friend and I ordered a cheeseburger, a Craft burger (comes with sautéed mushrooms, rosemary garlic mayo, lettuce & tomato) & poutine (fries with real Ontario cheese curds & gravy). It was the BEST cheeseburger I have ever had in my life. And I've had a lot. A true classic succulent cheeseburger. The poutine and the craft burger were absolutely great, but the cheeseburger was out of this world. I wouldn't be able to do it justice explaining how great it tasted, but if you like gourmet burgers that are proper burgers, you'll love this! 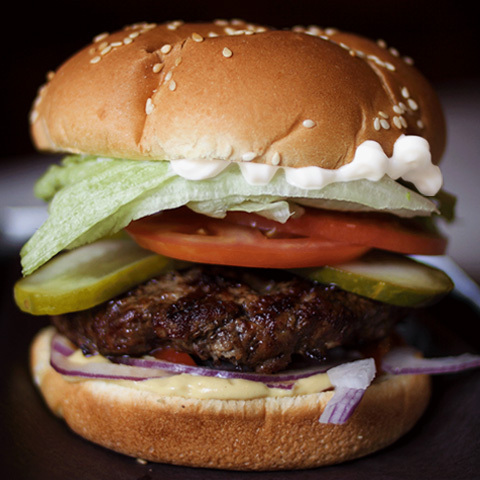 If there's one thing you should know about their burgers is that they're handcrafted, made from fresh (never frozen) AAA Ontario beef. We were so hungry and tired and then busy stuffing our faces we didn't take any photos, and I've been craving that cheeseburger for a good three weeks now . If you are in Canada / USA or planning a trip soon, I suggest you try it out. I'm sure it'll easily be one of the top five burgers ever. OMG just add extra cheese to that and itll be PERFECT!